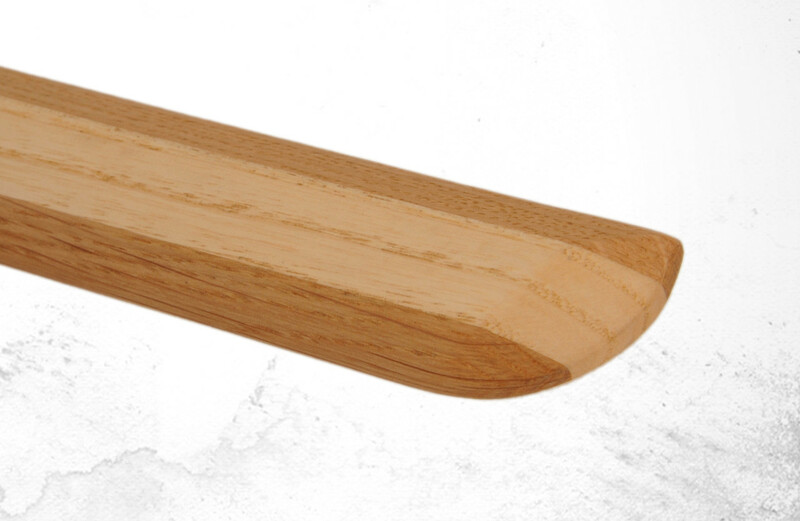 Wooden sword for the demanding budoka – the bokken are still made traditionally using a hand plane. 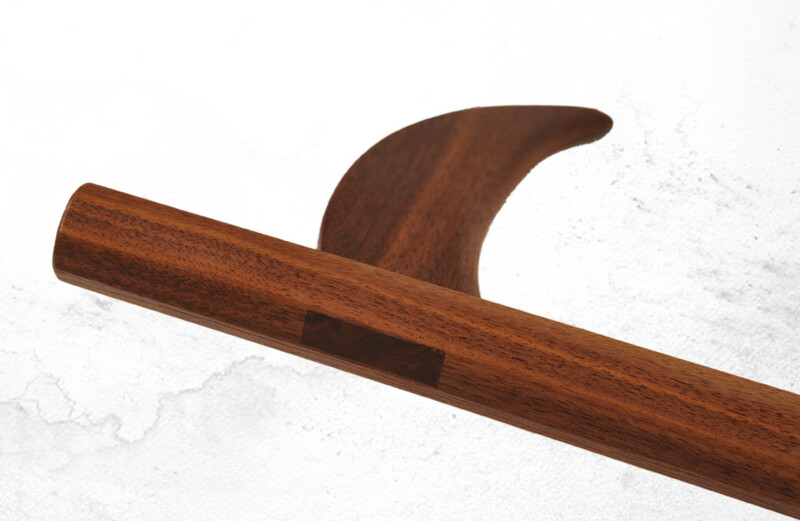 Individual rya-ha wishes, decorated end pieces and finest material choice are standard. Optionally with blood channel for enhanced sound. Fitting tsuba will be available shortly. 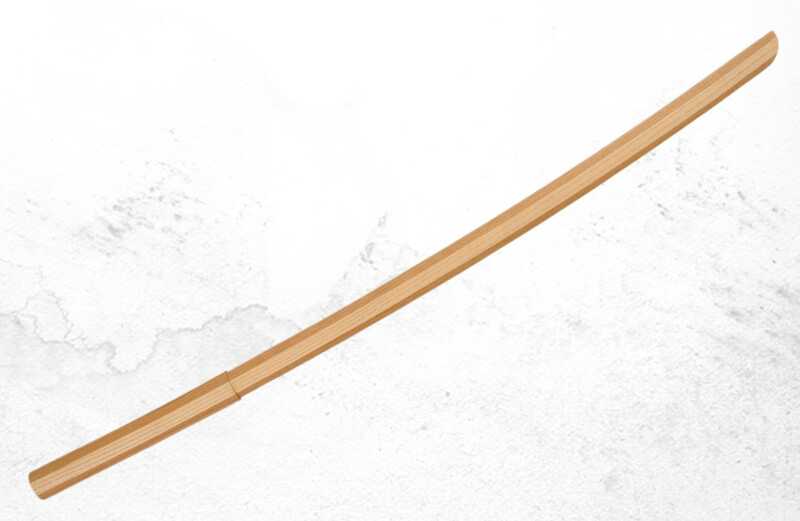 The bokken probably originated from the requirement to make the training fight with real blades less dangerous. Also, sword techniques as well as hanbo techniques can both be performed with the wooden sword. 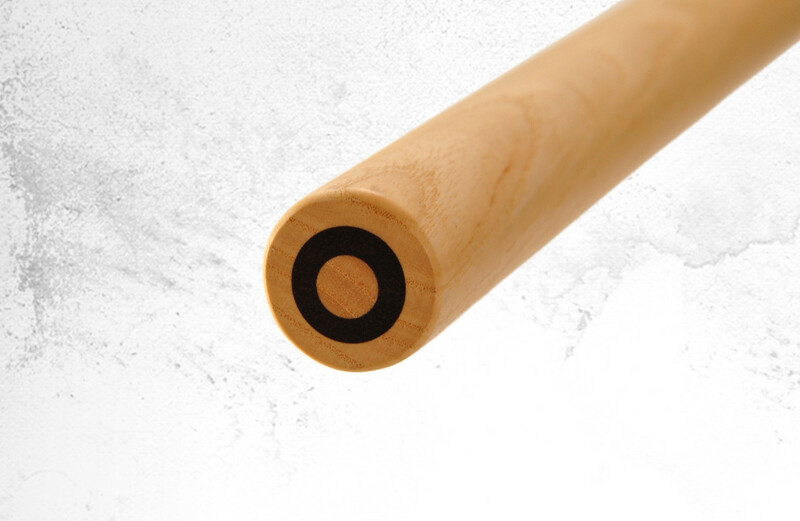 From its original intention to be used in partner exercises, the bokken developed into an independent weapon with time, which is also considered with individual shapes. Since then, decorated bokken with hi also have a right to exist and incidentally are beautiful decorative objects. The blank can be glued in horizontal or vertical direction. With the horizontal version, the blank is directly pressed into its final shape. 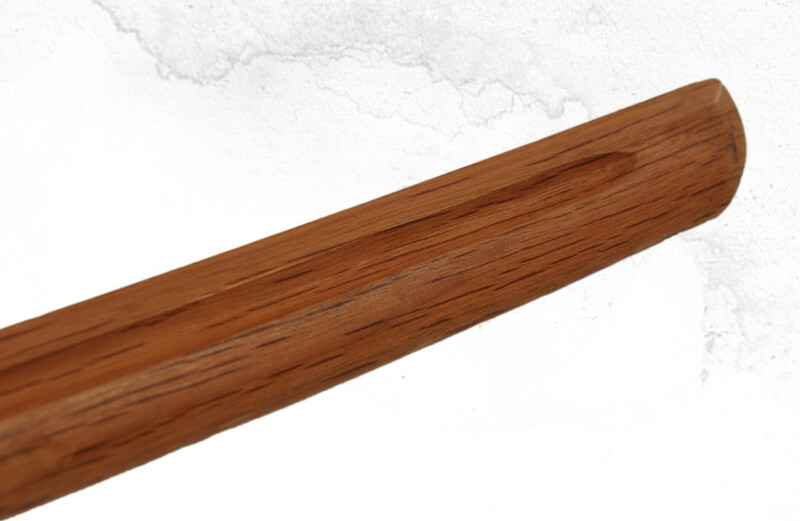 Advancement from the classic bokken. 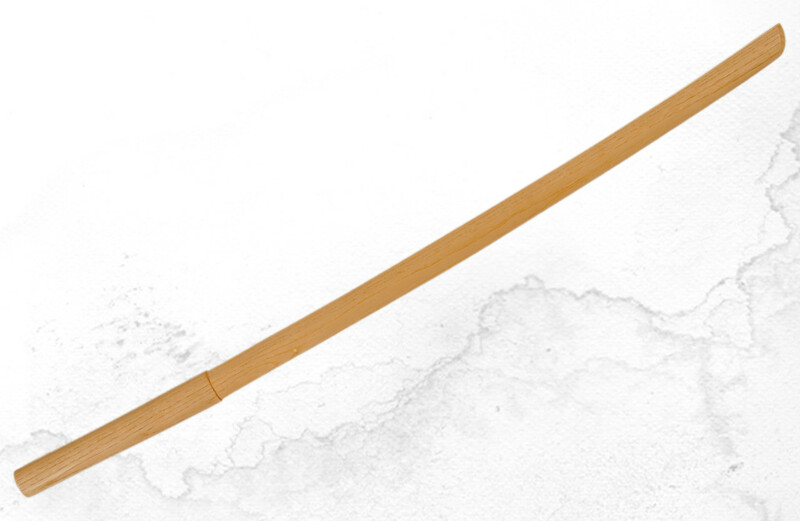 Similar to the actual blade construction of a katana – the blank is glued from several thin wood layers. Because of this process, the characteristics of two different wood types, such as impact strength and flexibility, can be combined. The resulting colour contrast is an additional decorative element. 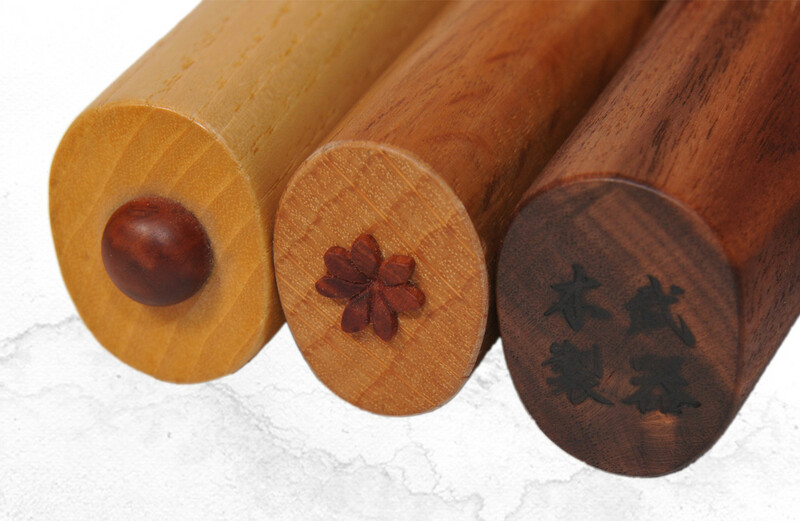 The wooden Naginata ranges among the longest blade weapons, which poses particular challenges to the stability. 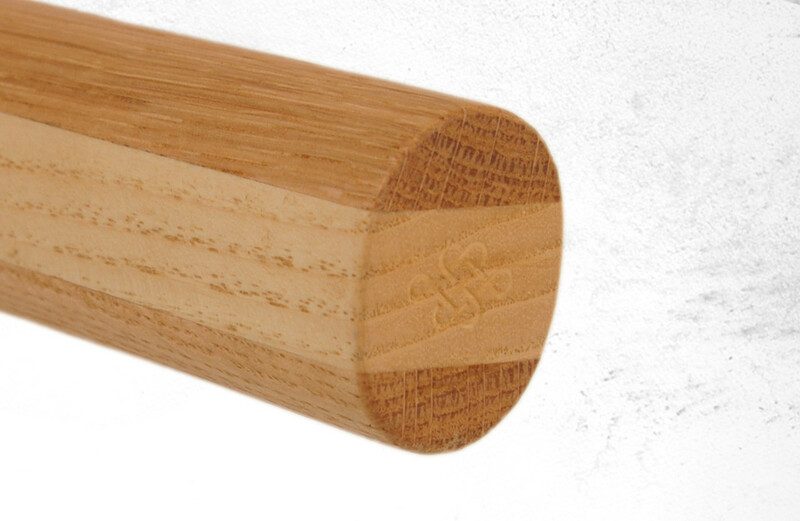 The wood used should be impact resistant, yet flexible. 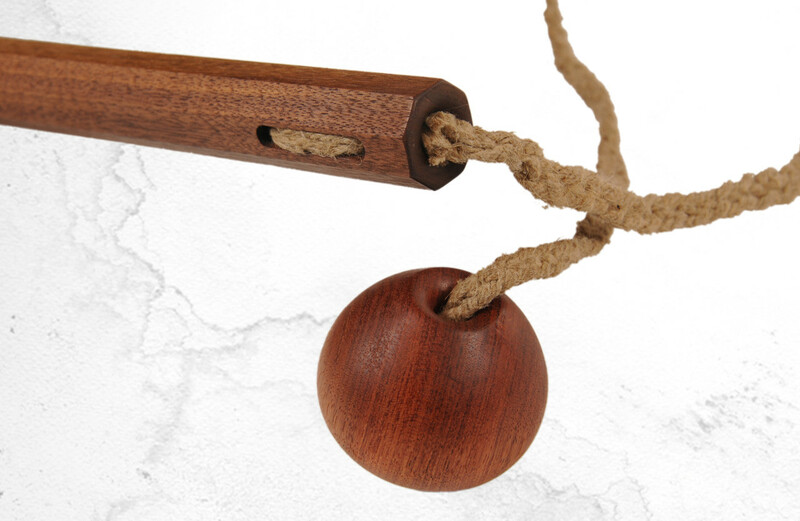 Therefore, long-fibred wood, such as hickory or ash, is best suited for this product. The end pieces can be decorated and fitting leather tsuba will be available shortly. Apart from the Katana, this weapon played an important role in ancient Japan and is still often wielded today – by women. This weapon was intended for court ladies to defend against intruding enemies. 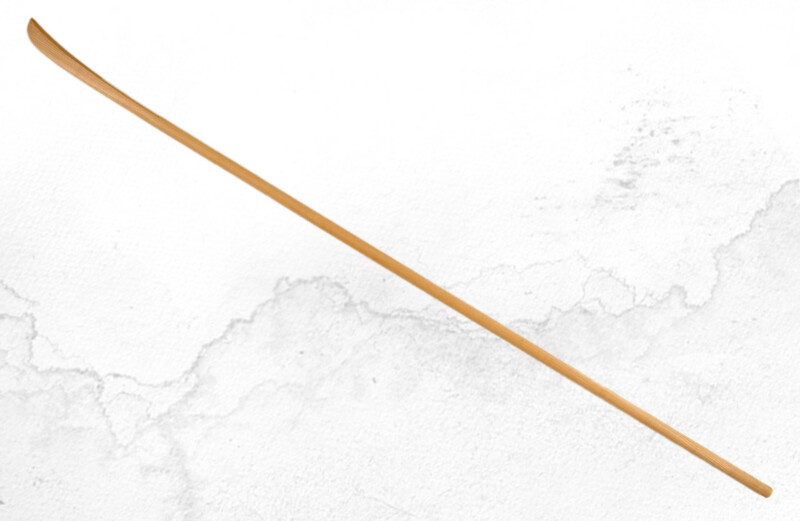 This tradition has survived until today, when handling a naginata became a national sport. Ask for extra length and their shipping costs! The product presented will be produced without a metal fitting and is intended for individual training. For exercises with a partner, I recommend choosing the exercise bag over the projectile. 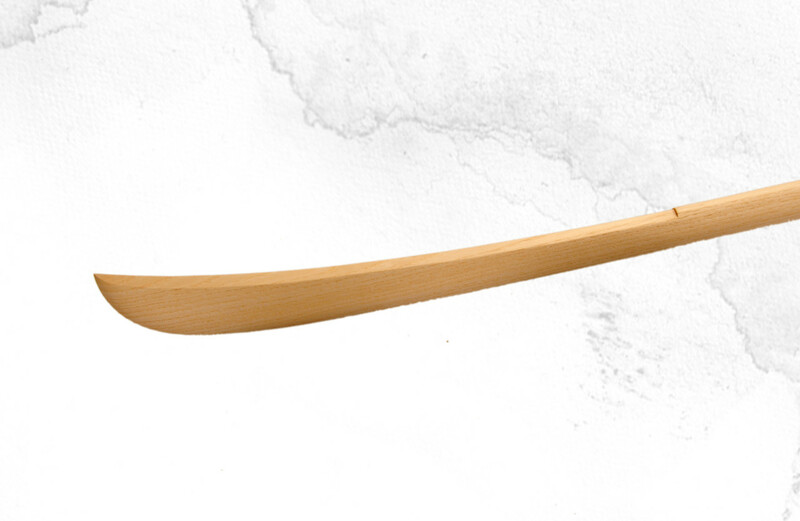 The sickle should be made from hard wood with a large sheath. The wooden connection is secured threefold. 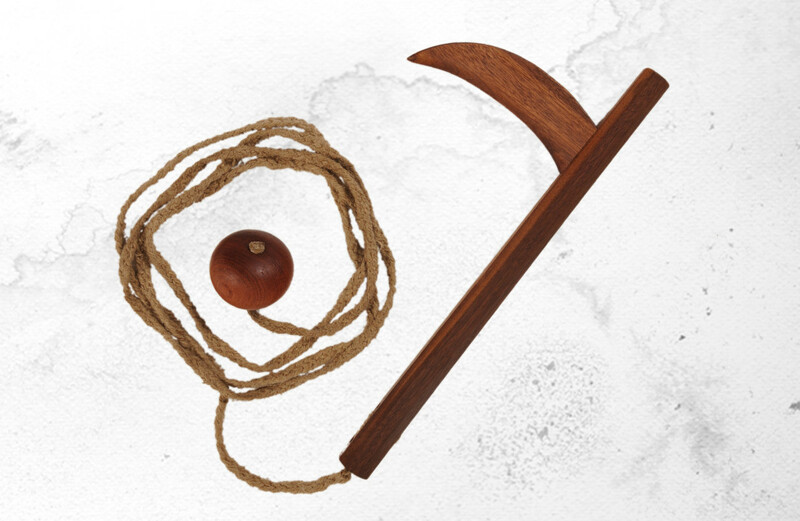 Apart from the weight, the sickle can also be wielded with the chain. The blades intended for this are fabricated slightly differently. There are also kusigarama types, where the cord mounting is above the blade, which enables a wielding of the chain with the sickle in hand. The sickle-and-chain is an ancient war weapon, which has the advantage of a large range. Against a long sword or even a horseman, the chain with the weight was supposed to build the bridge to close combat, where the sickle was used.